Meeting authors can be both thrilling and terrifying, especially at a book signing. We get it, you want to look cool and collected in front of your favorite author. We've got some handy tips on becoming a book signing professional. Like most events, books signings are all about the prep. Being prepared is the first tip. Do this by researching the book event ahead of time and making a game plan. All book signings are different, so don’t expect the same rules each time. Be sure of the time, place, and if a ticket or purchase is required to join the signing line. Also, is your name tricky to spell? Well, bring a post it note with the correct spelling to ensure that your book is signed quickly and correctly. 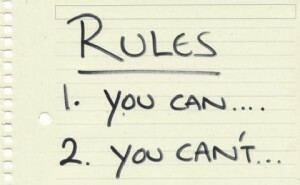 Which leads us to the second tip: know the rules of the event. The author/ bookstore might have certain requirements that you should follow. For example, no photographs or personalized messages. Be respectful of the author and the bookstore's requests. And be aware if there is a limit to how many books you can get signed. Some authors might have a cut off limit, especially if lots of other people are waiting to get their book signed. Our favorite tip is to arrive early! First, this if helpful if you’re worried about finding parking. And this way you have a better chance at grabbing a seat for an author discussion. Don’t be surprised if a signing gets crowded and you might be asked to stand. Also, by arriving early you can ask staff questions about the event that you were unsure of. Speaking of questions, some book signings end with a Q and A. Now is the perfect time to ask that burning question that you’ve had! But, the stress of the moment causes you to forget (oh no). Have no fear, because you remembered to write down at least 3 different questions! Why 3? Well, the chance that someone ahead of you asks one of your questions is very likely. So, have a few back up questions just in case. Okay, now is the moment of truth. You’re in line to get your book signed. Your favorite author of all time is just mere steps away. Don’t panic! Take a deep breath and have your books ready. Didn’t get a chance to ask your question during the Q and A? Now is a good time to ask (if the question is short and can be answered quickly). You will only have about a minute to speak with the author so make it count and be polite! Most authors enjoy meeting their fans and love to chat. So, try not to worry about having nothing to say other than, “I love your book” or “I’m a big fan of your work.” Please be considerate of the other people waiting in line behind you. If you do have a lot to express, write the author a nice letter or note for them to read after the event. Our last tip is simple: have fun!